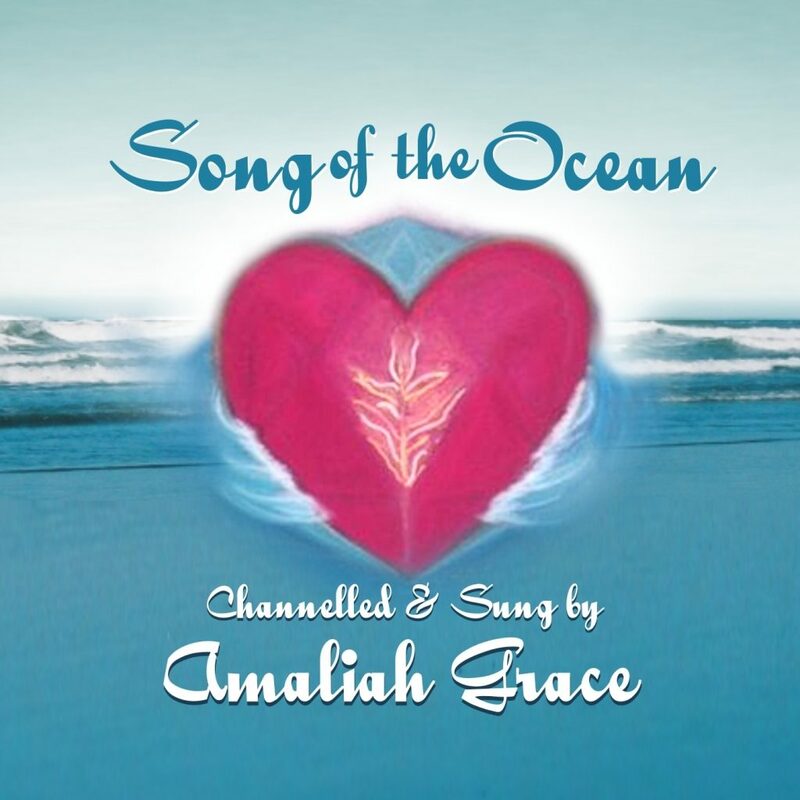 Amaliah’s songs harmonize & integrate the galactic streams of light affecting us today. 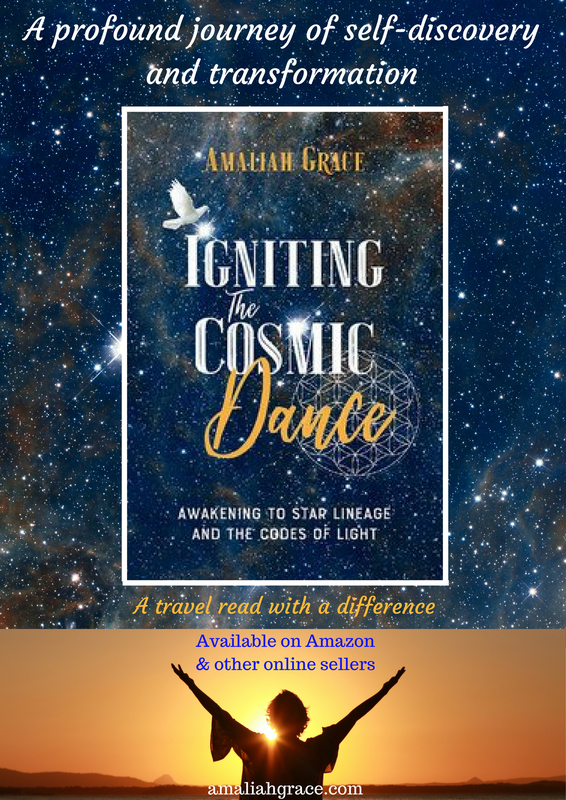 Amaliah Grace, soul healer and language of light sound weaver, sings the songs of remembering of your ‘home’ star origins. Songs seeded onto the planet by the Star Beings waiting to be ignited withinn your DNA to remember who you truly are. Are you ready to be held and bathed in the sounds of the Divine Feminine? Be embraced by the mother vibration, as Amaliah sings and sounds the frequencies that clear your dross, your ‘stuff’ to shift you into a lightness of being, becoming free. When you listen to these sound streams, they can take you into a profound state of being for personal healing. When you allow the sounds to flow through you, they create balance to your physical body, and harmonize the vibrations you are receiving through these potent times of galactic downloads. They have the potential to balance ascension symptoms by grounding the energy vibrations caught within your body, down into the Earth. Listen and watch this video created for the September 2017 equinox sound stream. I am dedicated to the Alchemy of change and transformation towards personal ascension and the ascension of planet Earth. The courses and workshops assist to anchor and embody the highest aspect of light from your Soul as we move into a fifth-dimensional reality. I have been trained by Spirit through guidance and personal experiences over the past twenty years and have created a body of work that’s the main thrust is to enable full connection with the Soul. These sounds and songs are an expression of the Divine Feminine, the mothering principal through a Goddess vibration from the Star System Sirius. BUY NOW from this website book $30.00 + postage $11.00 only within Australia. 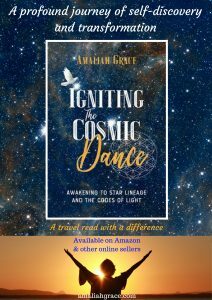 Amaliah searches for spiritual truth and discovers much more than she ever considered was possible. Her story follows a woman’s journey of transformation during a pivotal time frame for humanity. Where we herald the historic Return of the Magdalene Flame and the Divine Feminine through the Venus transit of 2004 to 2012. 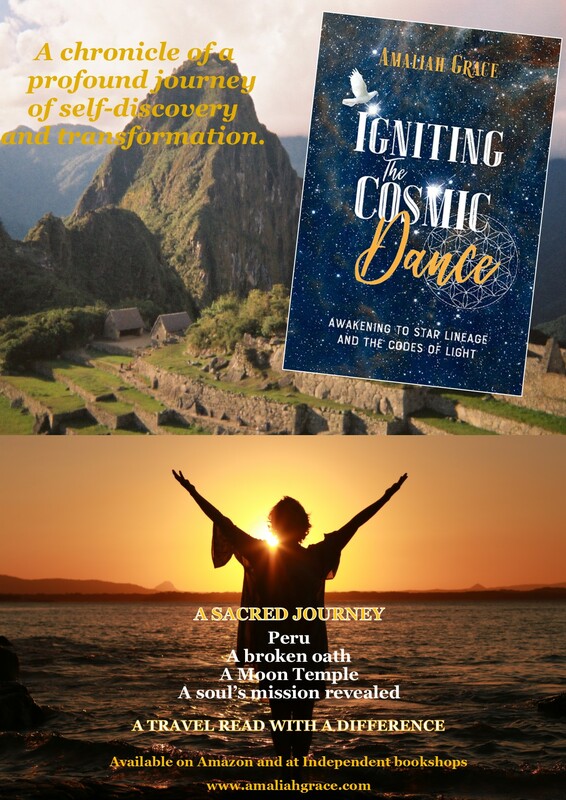 Shamanic Journey’s, Sacred Ceremonies, connection to the Star Matrix in the sacred valley of Peru, and becoming a channel for a Priestess from Sirius are all part of this memoir. Special edition also available with sacred essences and the Template of Oneness. Annie’s Books in PEREGIAN BEACH on the Sunshine Coast of AUSTRALIA. Sandy Pages in COOLUM BEACH and NOOSA JUNCTION. Avid Reader bookshop in Boundary Street, WEST END in Brisbane. Mist and Dreams holistic healing shop in LANDSBOROUGH. Paperback and Ebook available on Kindle and Amazon. To read on all ebook devices, download the FREE Kindle Reader App. Do you have a passion to connect fully to your Soul and answer its call? Do you feel a tug from your soul to achieve something great in the world but can’t pin it down? And have you recently awakened to a new you and have a passion to share it with the world? Twenty years ago I was in a time of transition, and for the first time in my life didn’t know where I was going. I was being prepared for something, but had no idea what that something would be. I constantly asked my spirit helpers to show me the way, give me something tangible to hang onto, a road map: but no, this wasn’t the way spirit wanted to work with me. After several intuitive readers suggested I would be a medium, I began to study what mediumship meant. At the time I had a reliance on my rational left brain but was eager to change to become more trusting of my intuition. I spent hours raising my vibration so I could connect to receive channeled information. I did this by typing with a blindfold and of course being a touch typist, made this possible. I learned to surrender my ego mind and allowed the emotions of my inner child to come through. I drew with my non-dominant hand and engaged in meditations to embrace my wounded inner child, allowing her speak. These simple tools helped me to unravel the layers of my separation from myself so my soul could connect with me. PERSONAL SOUL SIGNATURE, SOUL GLYPHS and ACCELERATOR ART and the ASCENSION STAR CODES of LIGHT program are tools to accelerator your ascension and transformation journey. 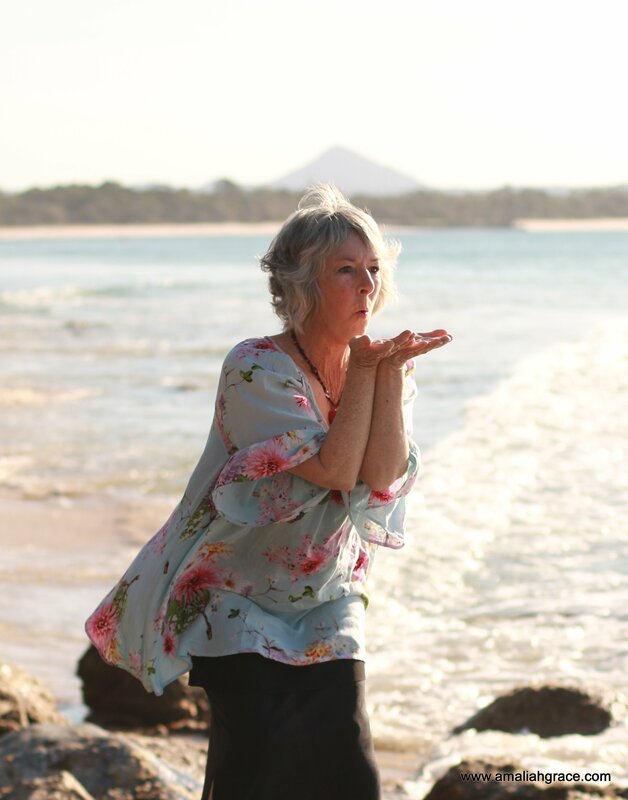 The SOUL LINE CLEARING COURSE is a profound gift from the Cosmic Mother to clear outdated patterns through multiple lifetimes back to the original creation of the pattern. Connect to Source through the womb of creation to the purest form of love. Trigger the Soul’s memory of its origins and can create rapid and synchronicity aligned with the Soul’s mission for this millennium. Activate memory to access the Soul’s original gifts and Soul lineage. Upgrade the physical body to imprint and activate the crystalline body template within the DNA. Balance polar opposites and assist in the dissipation of duality to creates a pure soul to heart connection. A profound spiritual development program, igniting the dormant DNA codes within your being, to raise your vibrations to the highest level. Daily repeated meditation with progressive Sound Light Codes and Visual Art Codes of Light in the ASCENSION STAR CODES OF LIGHT Series A, B and C.
Through the use of sounding and ancient shamanic healing songs I often reconnect clients with lives of power. With memories drawn to the surface people who vision, see and remember other lifetimes of pain, trauma or accidents. There are many tools I bring forward to assist in these healings. Being the adult for your wounded inner child. Cutting ties with people or aspects that sabotage. All of these possibilities assist with clearing the individuals pain body of distortions to their female line, through timelines but also assisting with the collective feminine pain body of humanity. Can you do change your direction into a new way of being? Yes you can and I offer the tools to guide you there. Imagine that you wake up each morning from your dream state with clear messages and signs of what next to do. Or you sit in contemplation and ideas stream in, taking you a step closer to your soul mission. Aligned with Divine timing, there is magic in the air. lt does need persistence and courage to step out of our comfort zones, but it is worth it. Don’t let your fears limit your potential. Time and effort on your spiritual practice is rewarding and new thoughts, new beliefs, bring the creation of the new. Thoughts are things and create things, they are movement in action. Fill out the form above in the top right hand corner, and a series of free mp3 songs are waiting to help you. I am committed to anchoring the Divine Feminine vibration onto the planet. Through holding the light of the Goddess and singing Ancient Healing Songs and Sounds. I have embraced my connection to the Cosmic Mother, the Goddess, the Mother of all things, the Mothering Principle. I endeavor to assist humanity with my songs and to heal the distortions to woman through the ages. To bring forward awareness of the fullness and truth of the Goddess, the Mother vibration. She represents nurturing, unconditional love, growth, compassion, intuition and connection to Soul and Source. I am dedicated to pass this profound and exquisite vibration to others, through original sound; the language of Soul, the language of Light. In honoring the Feminine Principle, we bring gentleness and harmony to our lives, available for all men and women, through understanding the nurturing and nourishing essence of Gaia, our planet. I accept into my life that ONLY LOVE IS REAL. As you do may the Grace of the Divine Mother embrace you.